Baby, the Stars Shine Bright Toppi as Little Red Riding Hood. Something about February 22nd-23rd. 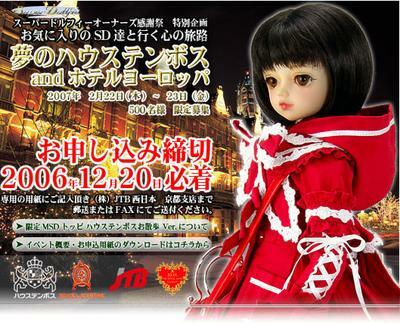 Looks like a super dollfie appreciation day in Nagasaki. For 500 guests. Neat!